(Natural News) As the caravan migrant “crisis” festers along the U.S.-Mexico border, our Leftist “establishment” media continue to misrepresent what is actually occurring so they can lay the blame for it at the feet of POTUS Donald Trump. Earlier this week the media, and like-minded talking heads on various cable news outlets, were outraged (again) over images showing “women and children” being “gassed” by U.S. Border Patrol and Customs and Border Protection agents. As reported by The National Sentinel, what ‘the media’ failed to report was why anyone was gassed: Male migrants became overly aggressive, stormed the border, and began pelting agents with rocks and bottles. San Diego Chief Border Patrol Agent Rodney Scott said that personnel did not use tear gas, pepper balls, and other dispersion techniques until after his agents were attacked. “Several agents were actually struck by rocks,” Scott said. Regarding the images taken by the establishment media showing women and children caught up in the melee, they were physically placed in front by the attacking migrants. “What we saw over and over yesterday was that the group — the caravan, as we call them — would push women and children to the front and then begin, basically, rocking our agents,” Scott said. “They use women and children regularly,” National Border Patrol Council President Brandon Judd told The Daily Caller. He also noted that agents do not and did not target any women and children with tear gas. The “vast majority” of people comprising the caravans — a great many of whom appear to be military-aged males — are attempting to claim economic hardship as their impetus for wanting asylum in the U.S., Scott said. But as Border Patrol Council spokesman Chris Cabrera told Fox News’ Laura Ingraham Monday night on her show, “The Ingraham Angle,” claiming to want a better life or a better job are not valid reasons for granting asylum. “They know they’re taking advantage of the system, and they know there is nothing we can do about it,” he said, adding that the strategy of invading the U.S. border en masse is to gain access one way or another because thanks to existing law, anyone who enters — legally or otherwise — can claim asylum within a year. He added that none of the chaos along the U.S.-Mexico border is POTUS Trump’s fault, despite the media’s best efforts to blame him. “The president can’t be held responsible for this. There’s only so much he can do. 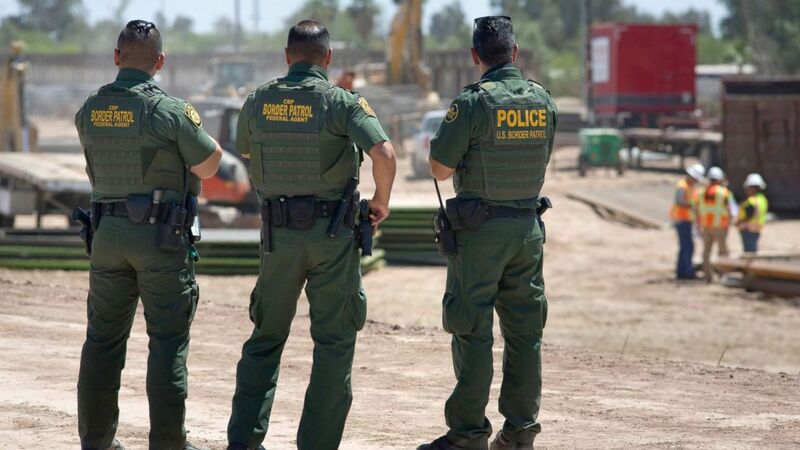 He has called for an additional 5,000 border patrol agents, yet Congress has failed to act on that. If we had that, we wouldn’t be in this situation where we needed the military to come in and help us,” he said. Read more about how Democrats’ open borders policies are creating chaos at OpenBorders.news.